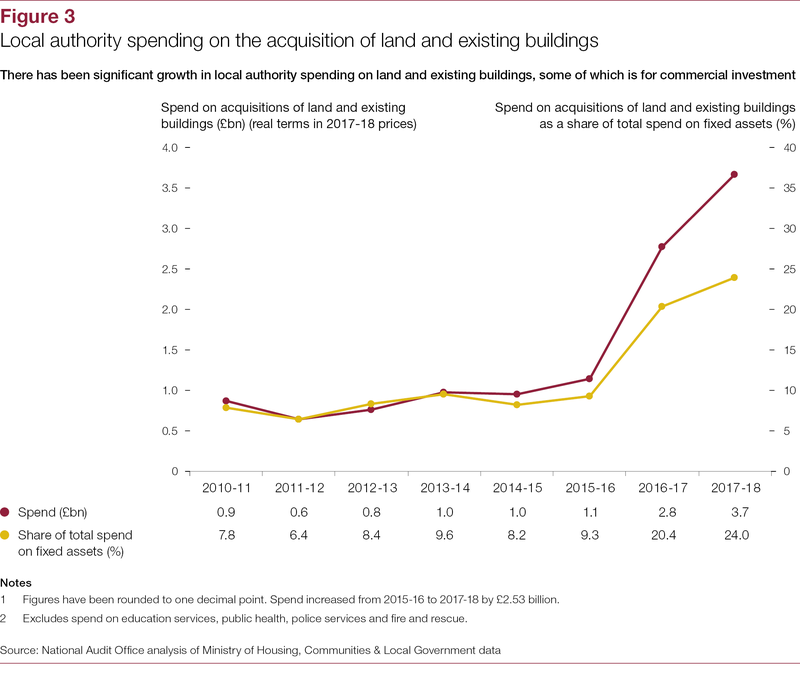 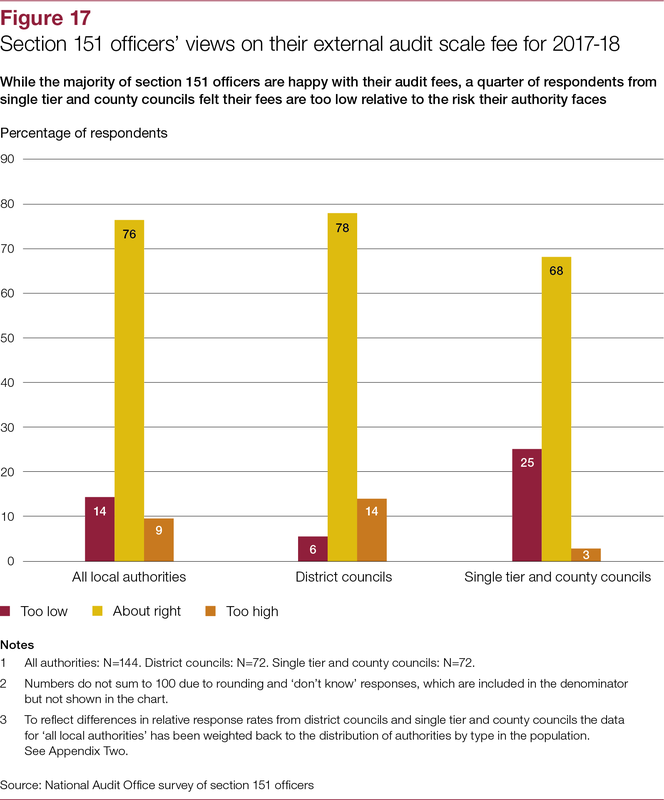 Local authorities are accountable to their communities for how they spend their money and for ensuring that this spending represents value for money. 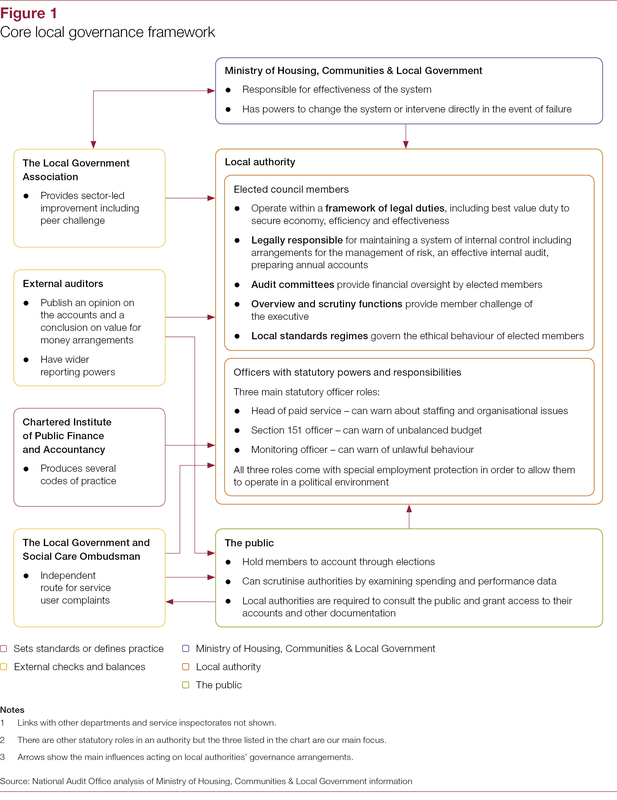 Local politicians and officers operate within local governance frameworks of checks and balances to ensure that decision-making is lawful, informed by objective advice, transparent and consultative. 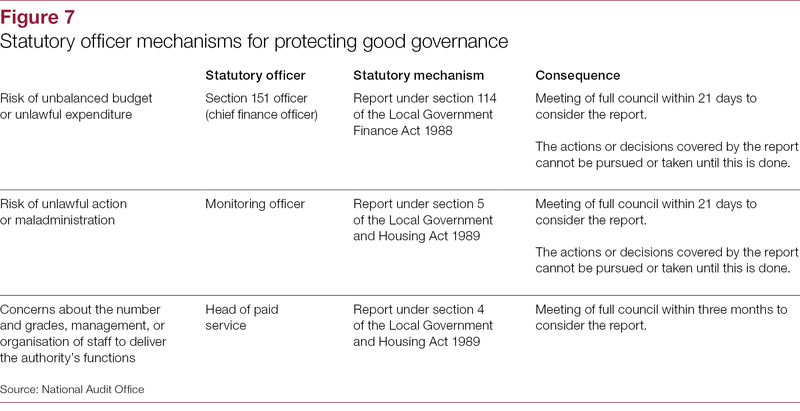 Good governance means that proper arrangements are in place to ensure that an authority’s intended objectives are achieved. 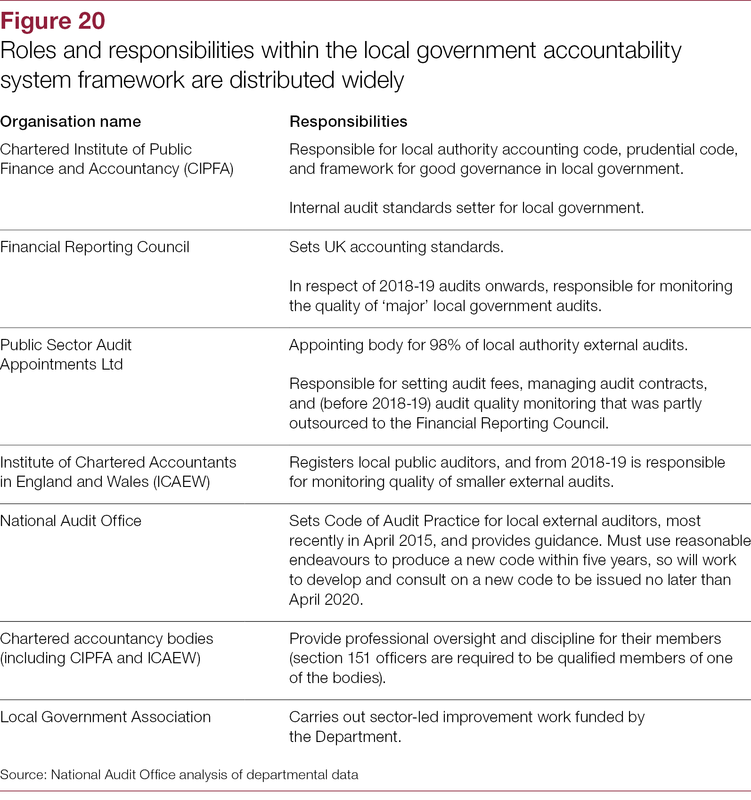 Key elements of the statutory framework ensure that authorities remain financially sustainable. 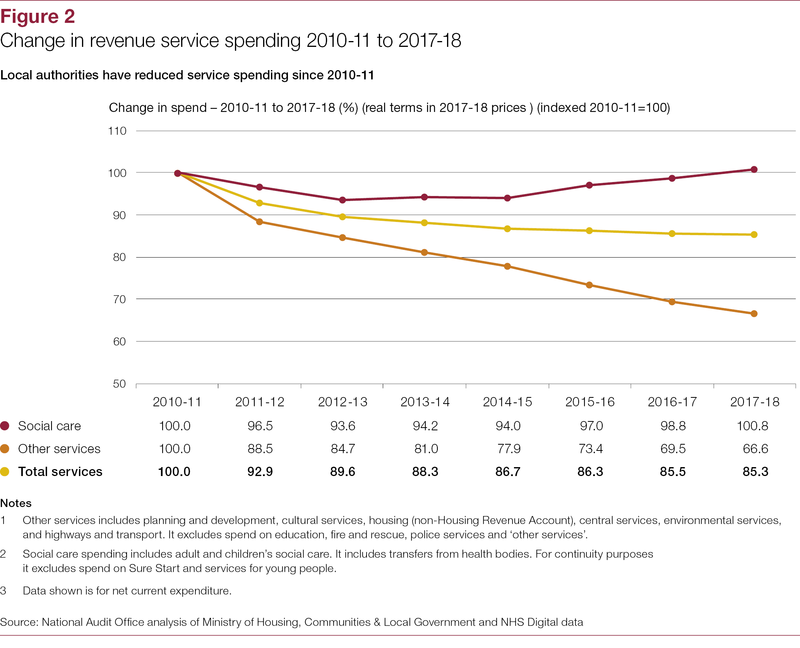 Authorities have faced significant challenges since 2010-11 as funding has reduced while demand for key services has grown. 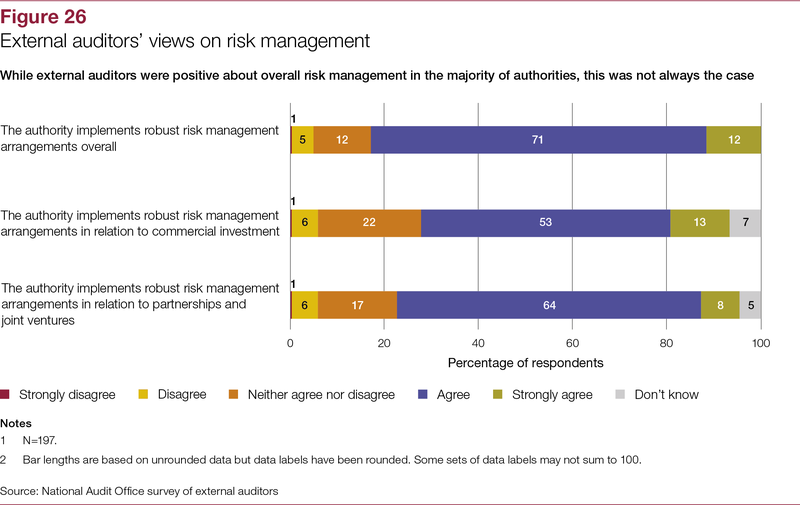 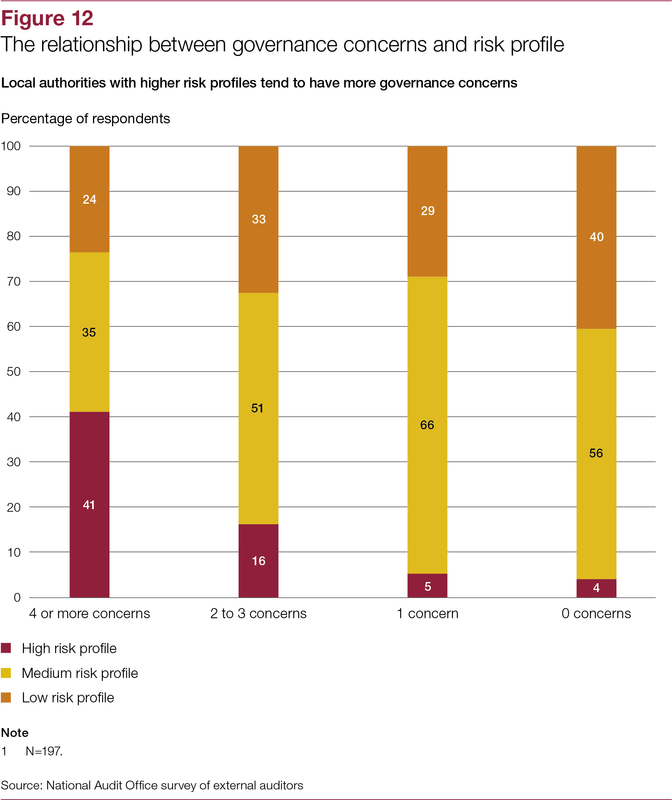 Not only are the risks from poor governance greater in the current context as the stakes are higher, but the process of governance itself is more challenging and complex. 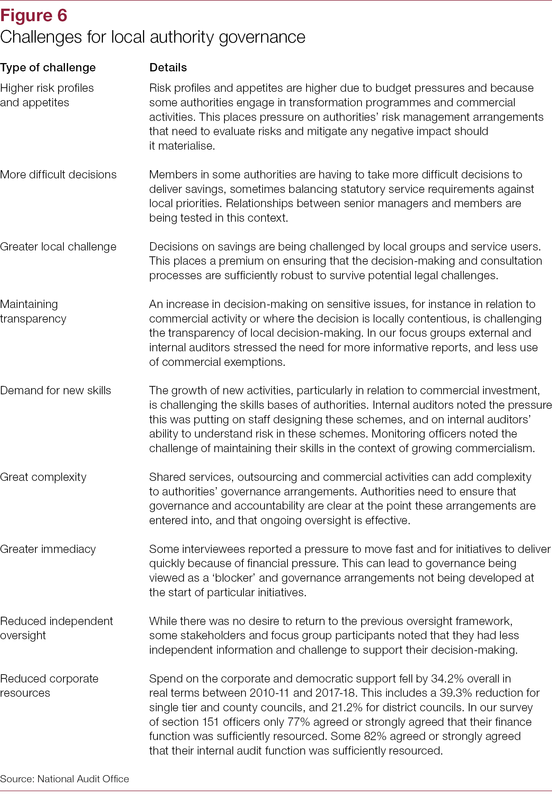 Governance arrangements have to be effective in a riskier, more time-pressured and less well-resourced context. 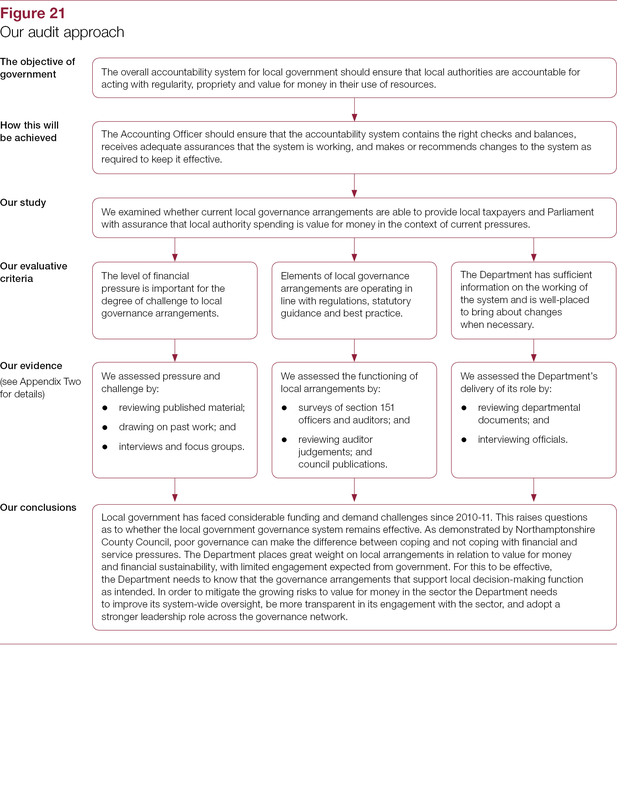 Part Three assesses whether the Department is fulfilling its responsibilities as steward of the system. 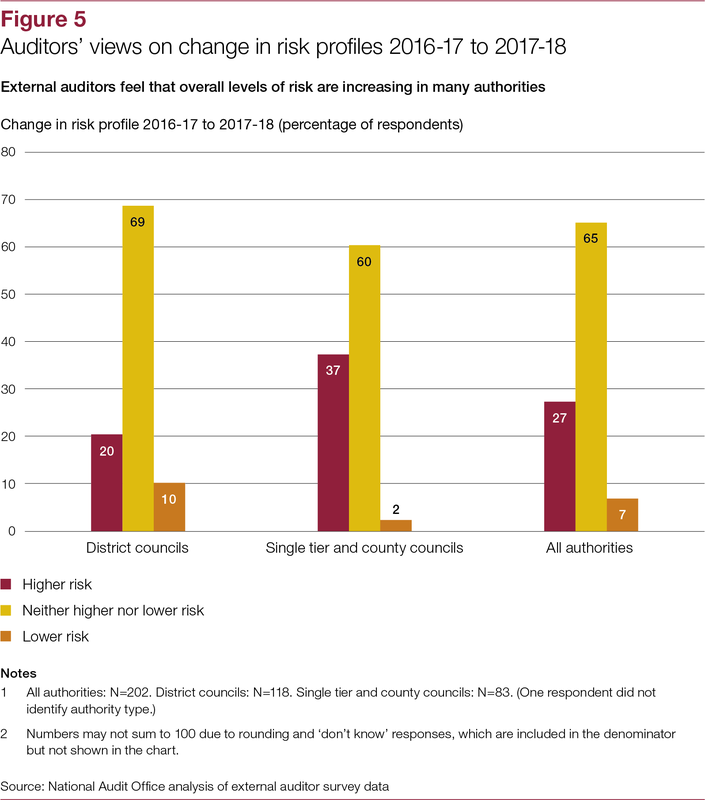 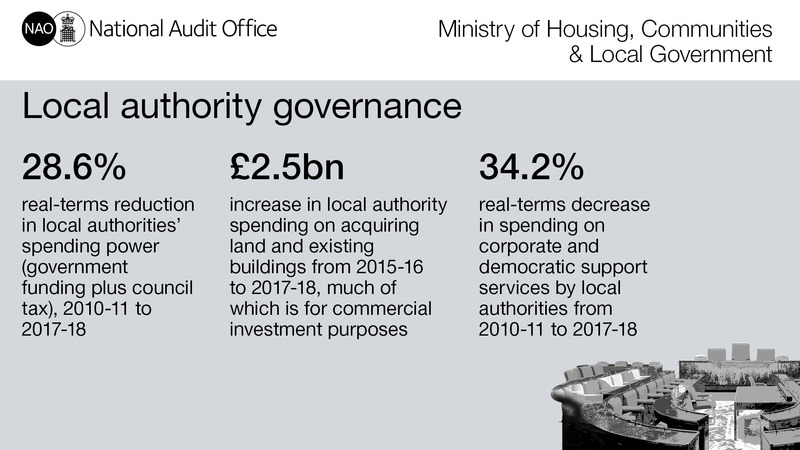 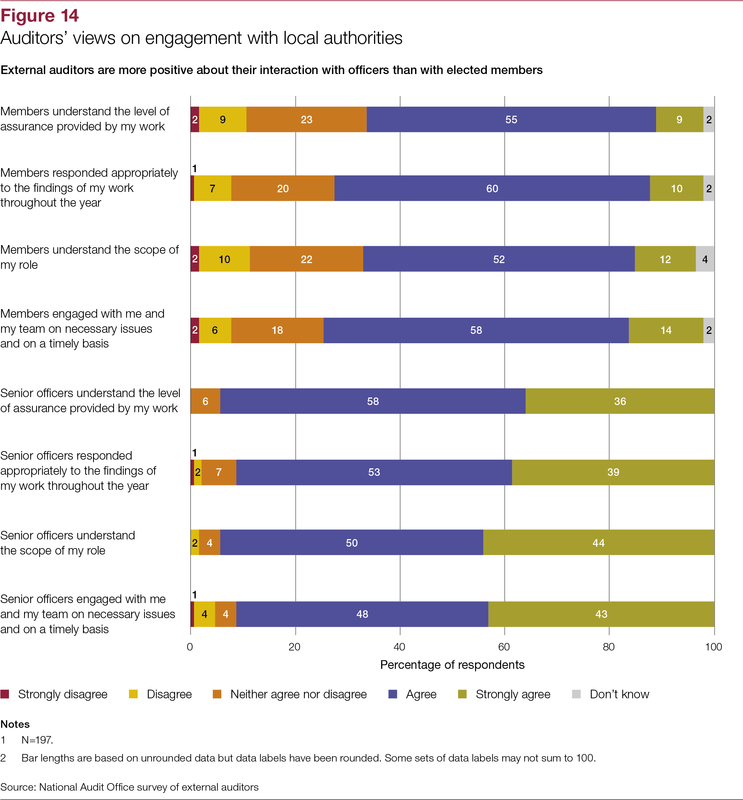 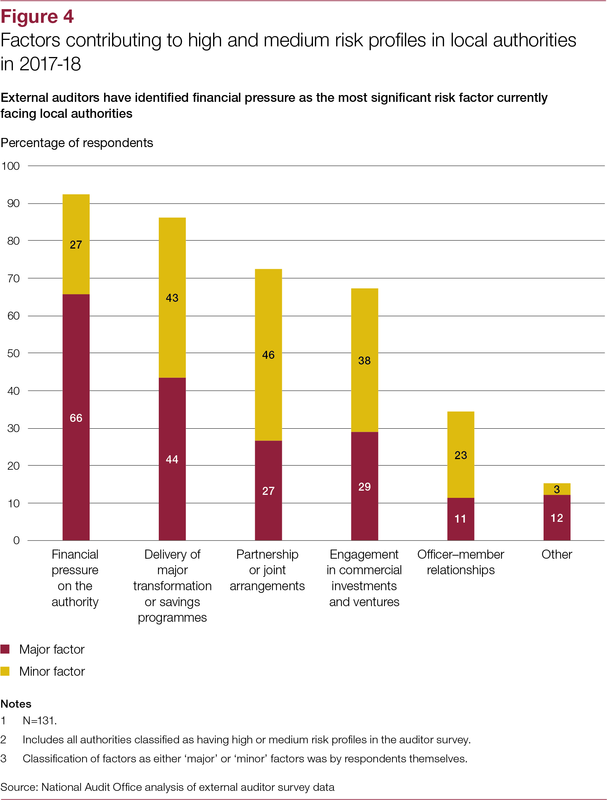 Local government has faced considerable funding and demand challenges since 2010-11. 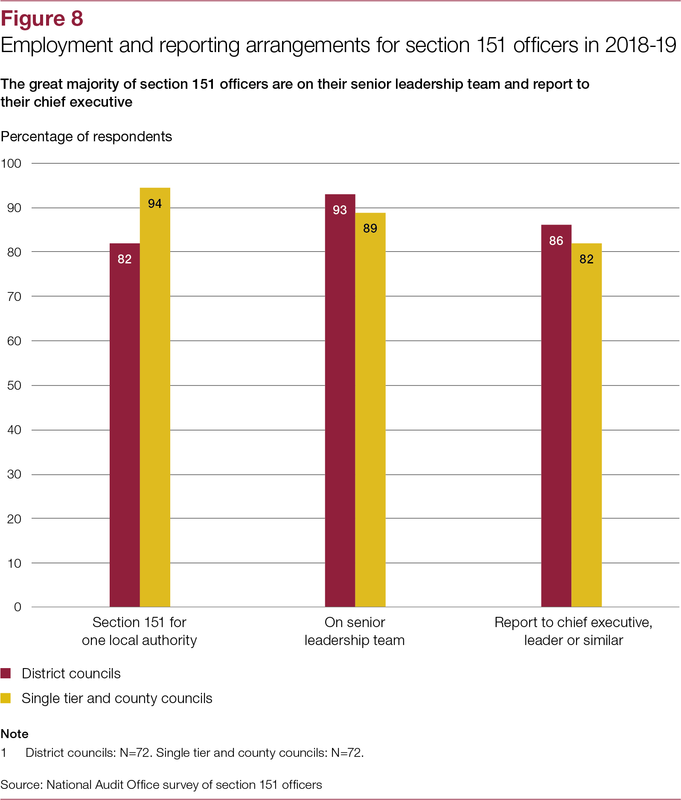 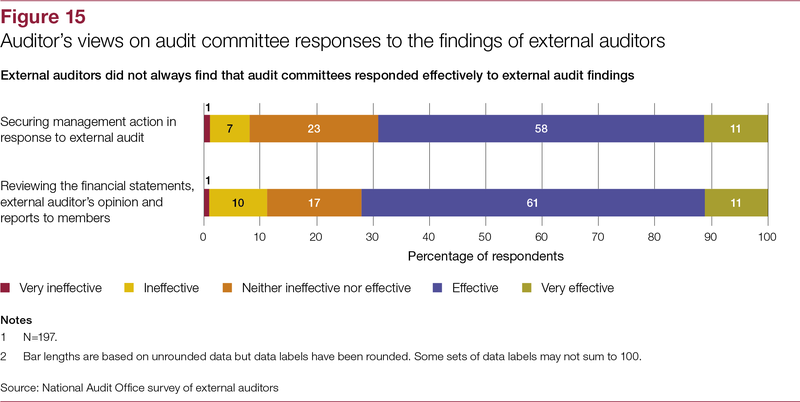 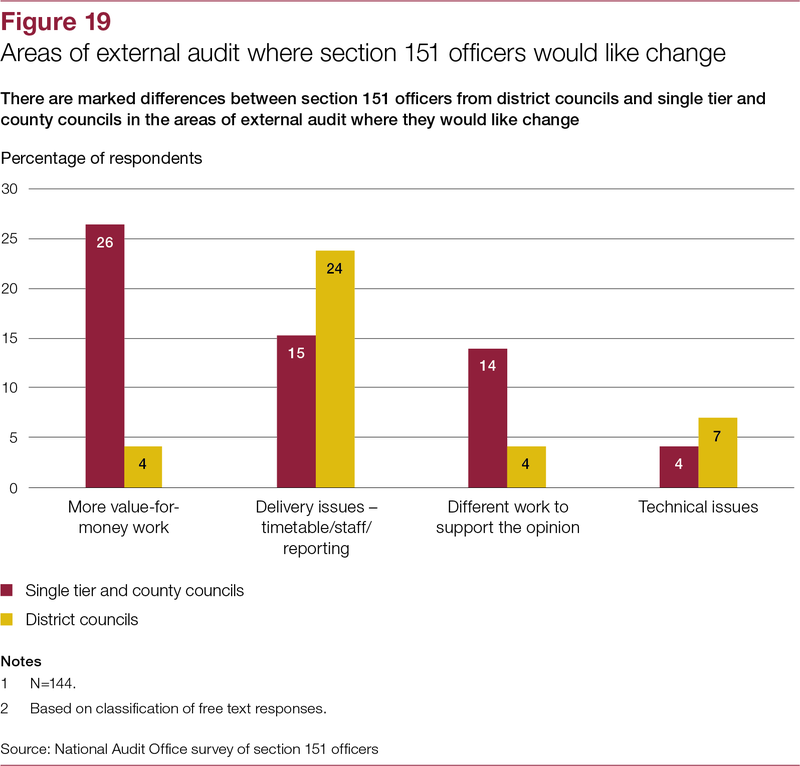 This raises questions as to whether the local government governance system remains effective. 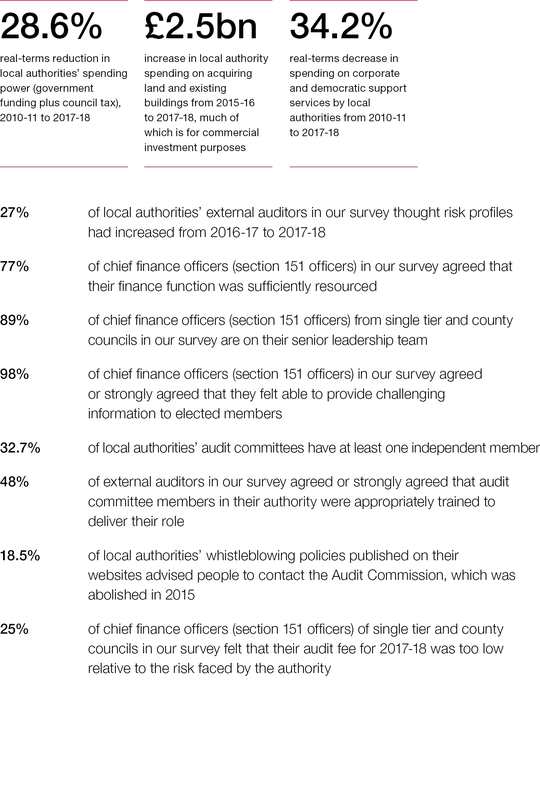 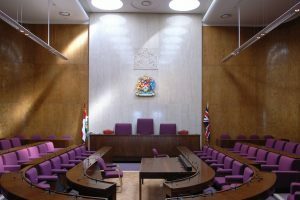 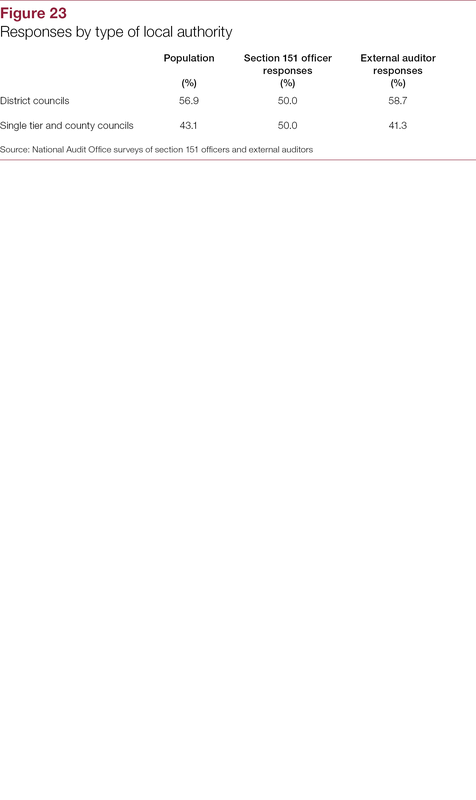 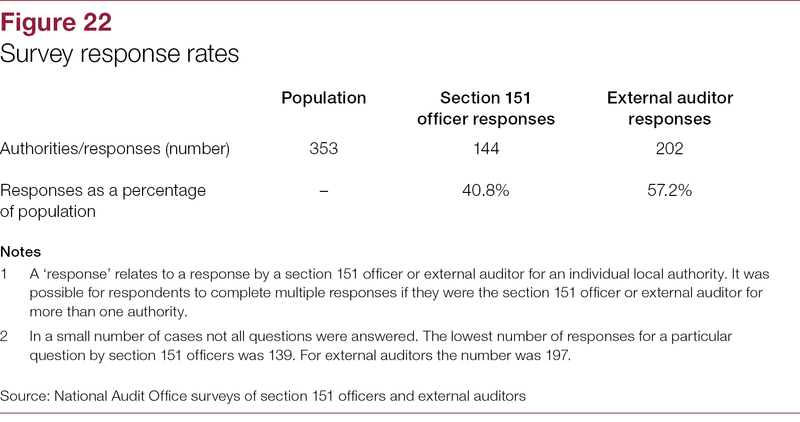 As demonstrated by Northamptonshire County Council, poor governance can make the difference between coping and not coping with financial and service pressures. 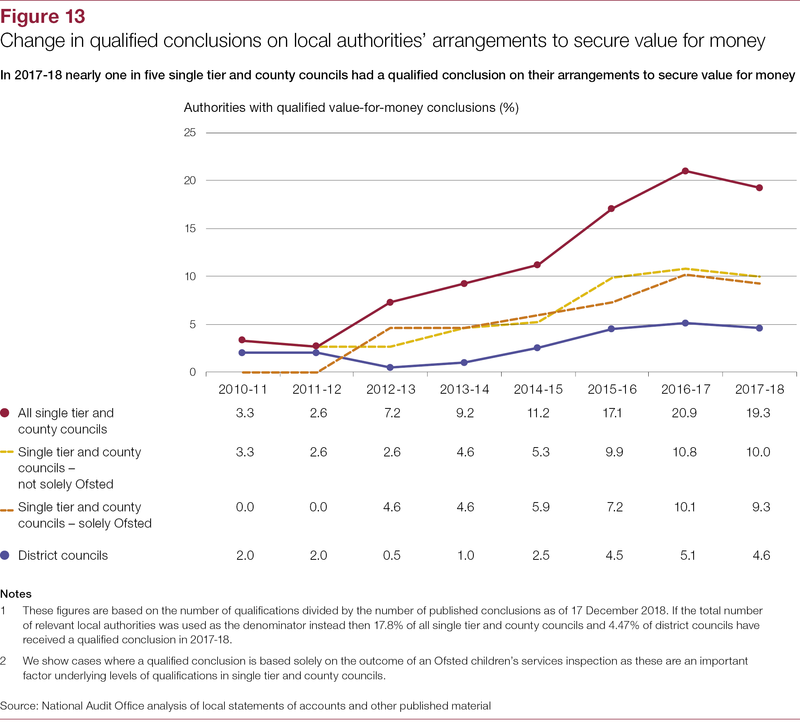 The Department places great weight on local arrangements in relation to value for money and financial sustainability, with limited engagement expected from government. 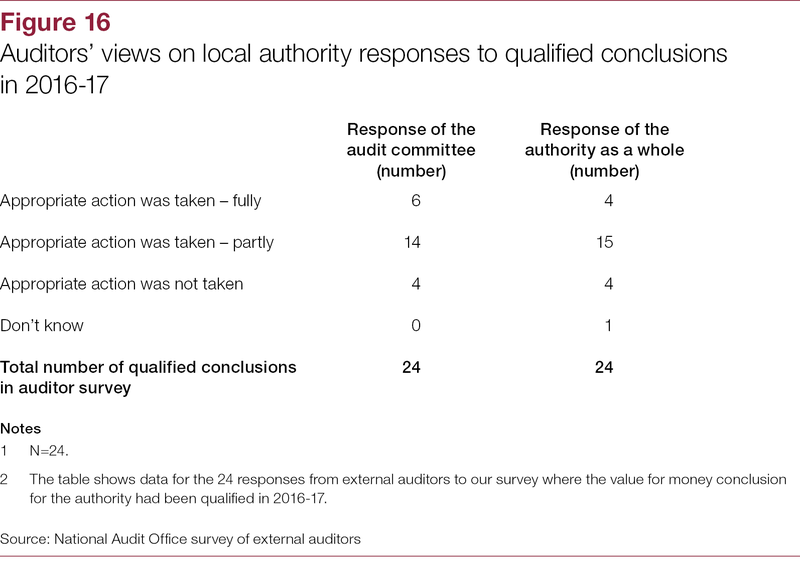 For this to be effective, the Department needs to know that the governance arrangements that support local decision-making function as intended. 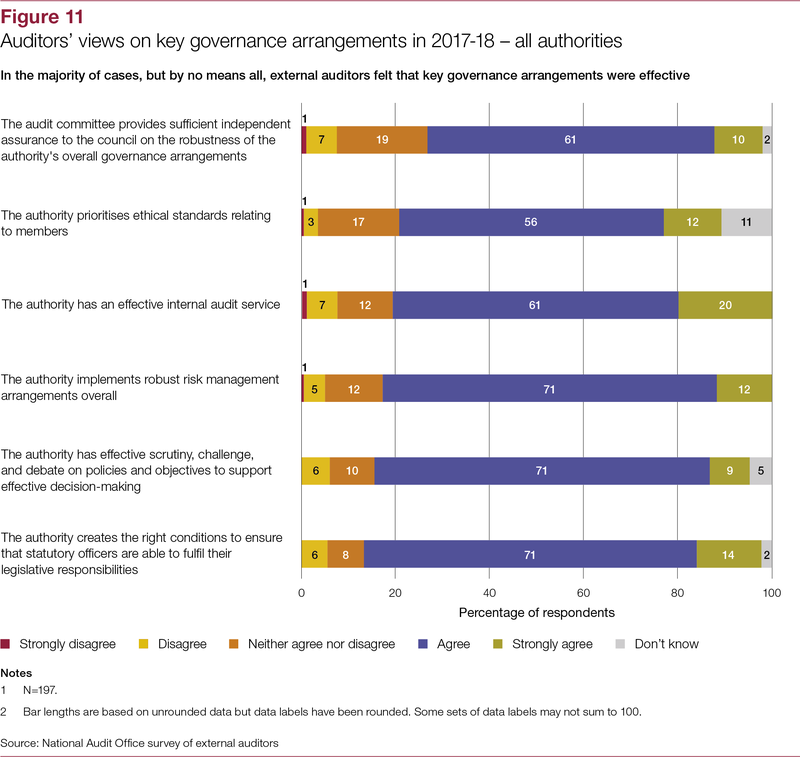 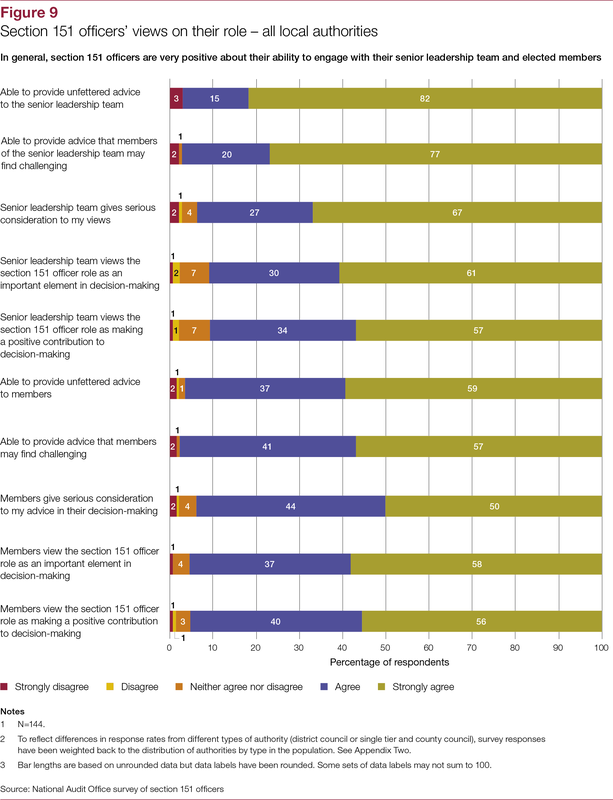 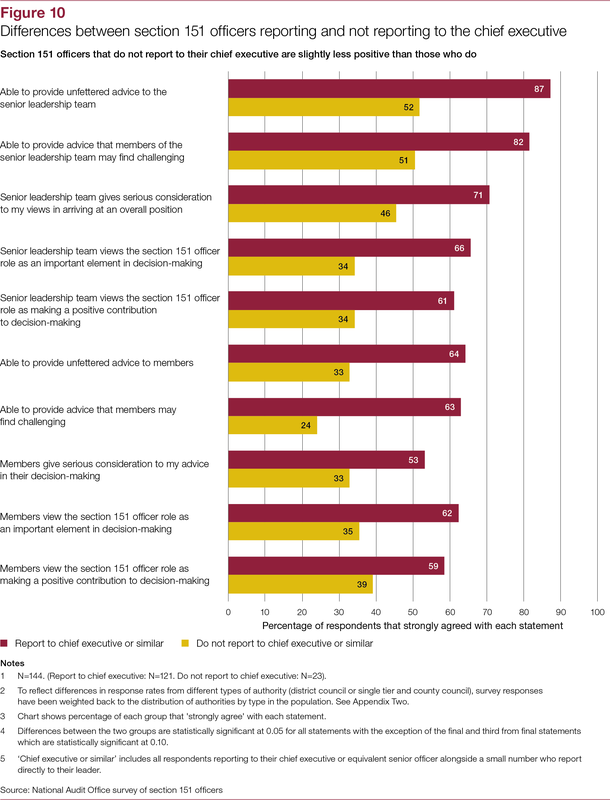 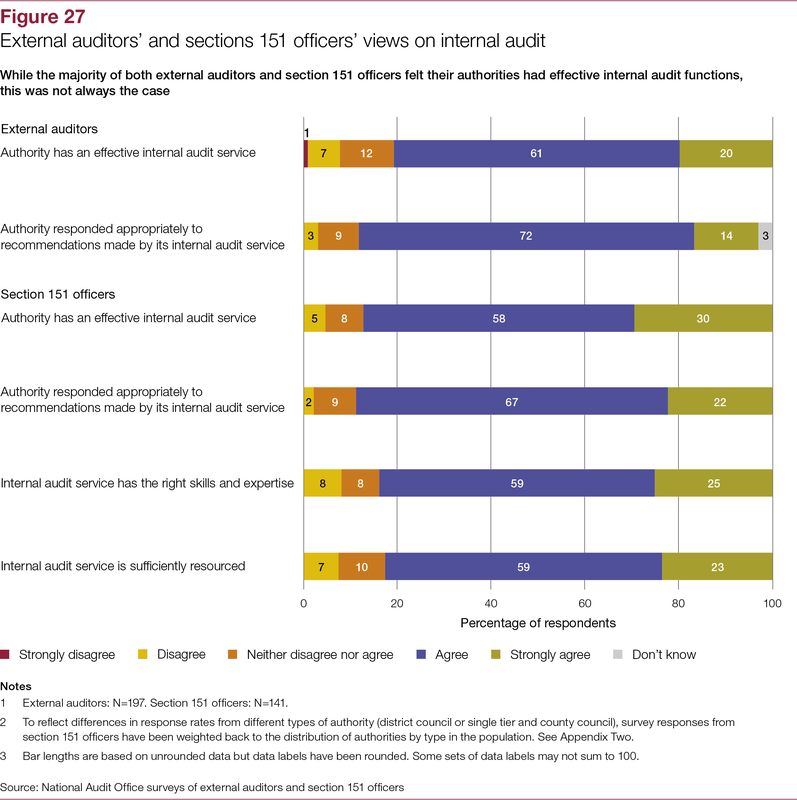 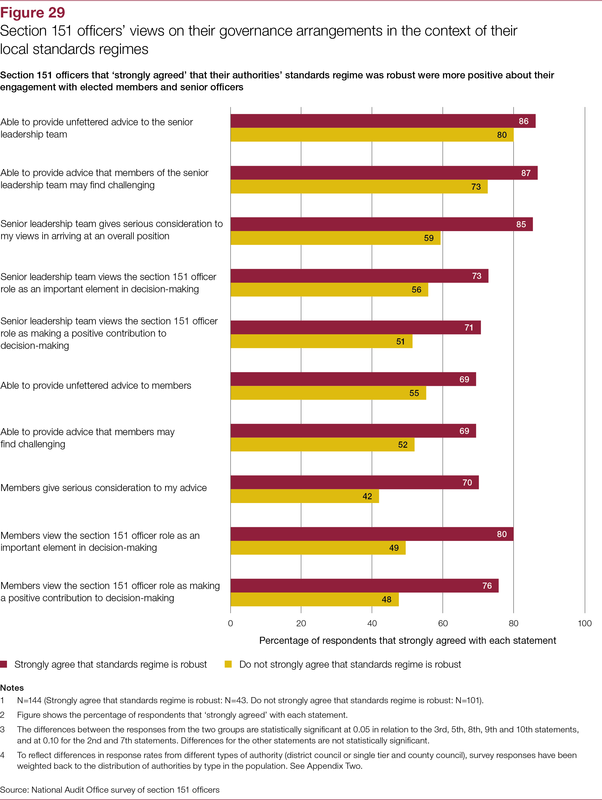 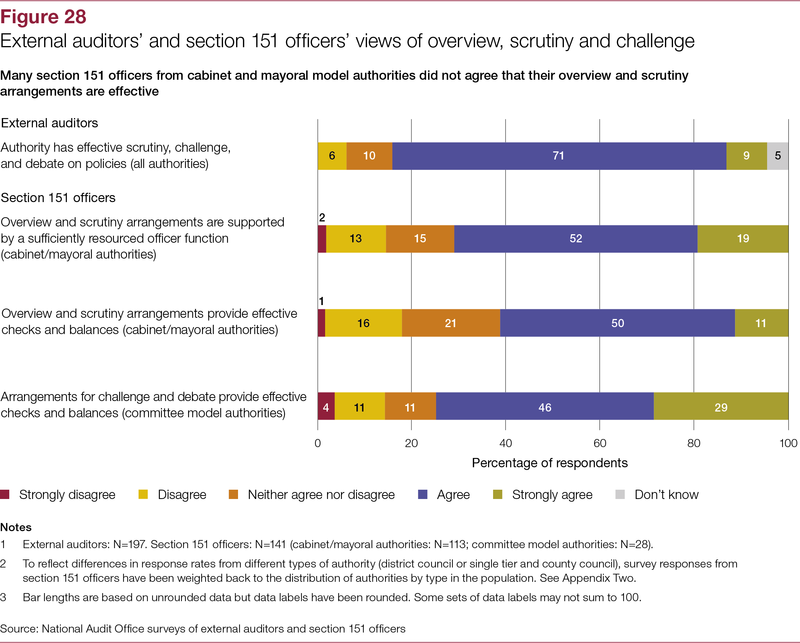 In order to mitigate the growing risks to value for money in the sector the Department needs to improve its system-wide oversight, be more transparent in its engagement with the sector, and adopt a stronger leadership role across the governance network.